"Louis of Spain" redirects here. For the 14th-century admiral of France, see Luis de la Cerda. Louis I (Luis Felipe; 25 August 1707 – 31 August 1724) was King of Spain from 15 January 1724 until his death in August the same year. 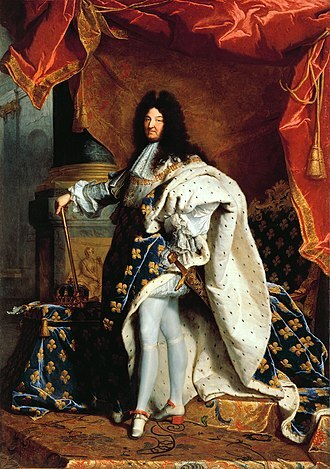 His reign is one of the shortest in history, lasting for just over seven months. 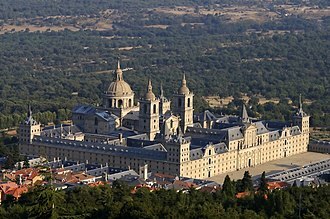 Born at Palacio del Buen Retiro, in Madrid as the eldest son of the reigning King Philip V of Spain and his wife Maria Luisa of Savoy. He was named after his great grandfather Louis XIV of France. At birth he was the heir apparent but was not given the traditional title of "Prince of Asturias" until April 1709. In 1714, when Louis was seven, his mother died, leaving him and his brothers, Infante Ferdinand and Infante Felipe Pedro. On 24 December 1714, Louis' father remarried to Elisabeth Farnese, the young heiress to the Duchy of Parma. 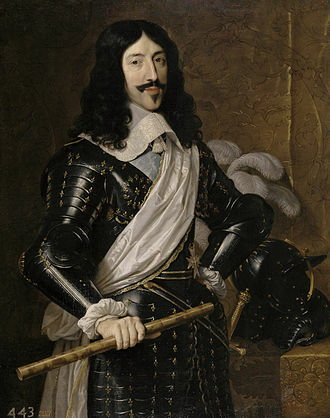 As heir not only to the vast Spanish empire, but also to a new dynasty, it was decided that Louis would take a wife as soon as possible. 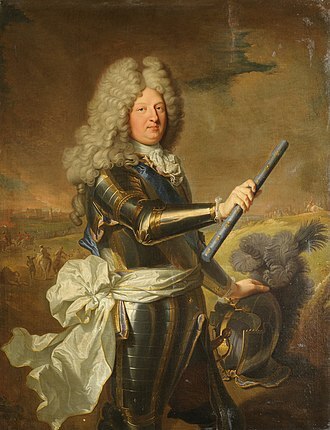 On 20 January 1722, at Lerma, he met and married Louise Élisabeth d'Orléans, a daughter of Philippe d'Orléans, Duke of Orléans, cousin of Louis' father and then the Regent of France. 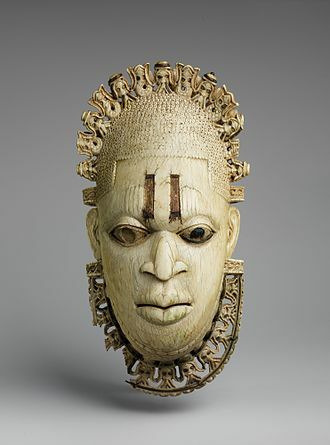 The dowry of this marriage was an enormous 4 million livres. 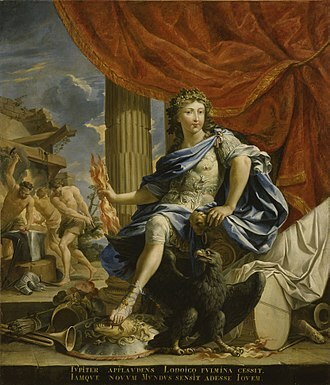 Louis ruled for a short period between the time his father Philip V abdicated in his favour (14 January 1724) and his death from smallpox, just over seven months later. King Philip sent him a letter informing him of his decision. He calls his son a great king. Louis sent his father a humble reply thanking him and signed his letter as Prince of Asturias. His marital problems dominated during his reign. His father kept tabs on him from San Ildefonso. 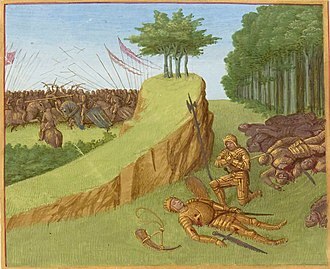 To counter his father's influence, he surrounded himself with officials who had not served under Philip. His plans were to focus more on the American colonies rather than the lost Italian territories. On his death, his father returned to the throne, and reigned until his own death in 1746. 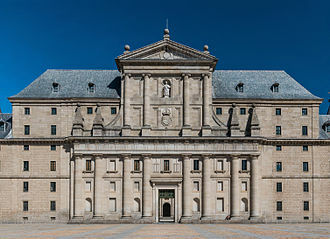 Louis was buried in the Cripta Real del Monasterio de El Escorial part of the El Escorial complex. Danvila, Alfonso. El reinado relámpago, Luis I y Luisa Isabel de Orleáns, 1707–1724. Madrid: Espasa-Calpe, 1952. Reprinted as Luis I y Luisa Isabel de Orleans: el reinado relámpago. Madrid: Alderabán, 1997. Ferdinand VI, called the Learned, was King of Spain from 9 July 1746 until his death in 1759. He was the son of the previous monarch Philip V. Ferdinand, the member of the Spanish Bourbon dynasty, was born in Madrid on 23 September 1713. 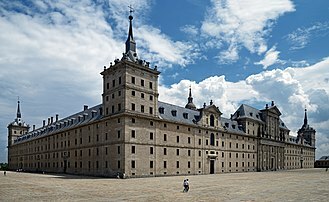 Born at the Royal Alcázar of Madrid, Ferdinand endured a lonely childhood and his stepmother, Elisabeth Farnese, was a domineering woman, who had no affection except for her own children, and who looked upon her stepson as an obstacle to their fortunes. The hypochondria of his father left Elisabeth mistress of the palace, Ferdinand was by temperament melancholic and distrustful of his own abilities. When complimented on his shooting, he replied, It would be if there were not something I could do. 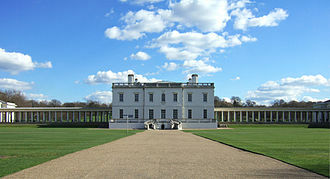 Shooting and music were his only pleasures, and he was the patron of the famous singer Farinelli. Ferdinand was married in 1729 to Infanta Barbara of Portugal, daughter of John V of Portugal, when he came to the throne, Spain found itself in the War of the Austrian Succession which ended without any benefit to Spain. 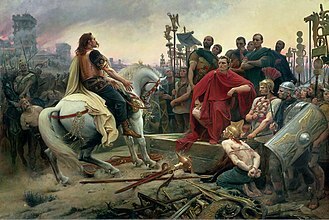 He started his reign by eliminating the influence of the widow Queen Elisabeth of Parma, as king he followed a steady policy of neutrality in the conflict between France and Britain, and refused to be tempted by the offers of either into declaring war on the other. Prominent figures during his reign were the Marquis of Ensenada, a Francophile, and José de Carvajal y Lancaster, the fight between both ended in 1754 with the death of Carvajal and the fall of Ensenada, after which Ricardo Wall became the most powerful advisor to the monarch. The most important tasks during the reign of Ferdinand VI were carried out by the Marquis of Ensenada and he suggested that the state help modernize the country. Among his reform projects were, New model of the Treasury suggested by Ensenada in 1749 and he proposed substitution of the traditional taxes with a special tax, the cadastre, that weighed the economic capacity of each contributor based on their property holdings. He proposed a reduction of subsidies by the state to the Cortes, the opposition by the nobility caused the abandonment of the project. Henrietta of England was the youngest daughter of King Charles I of England and Ireland and his wife, Henrietta Maria of France. Fleeing England with her governess at the age of three, she moved to the court of her first cousin Louis XIV of France, where she was known as Minette. After she married Philippe of France, brother of King Louis XIV, known as Monsieur at court and her marriage was marked by frequent tensions. Henrietta was instrumental in negotiating the Secret Treaty of Dover, in June 1670 – early in the month as her unexpected death. Jacobite claims to the throne of Great Britain following the death of Henry Benedict Stuart descend from her through her daughter Anne Marie and her father was King Charles I of England, her mother the youngest daughter of Henry IV of France and Marie de Medici. All her life, Henrietta would enjoy a relationship with her mother. 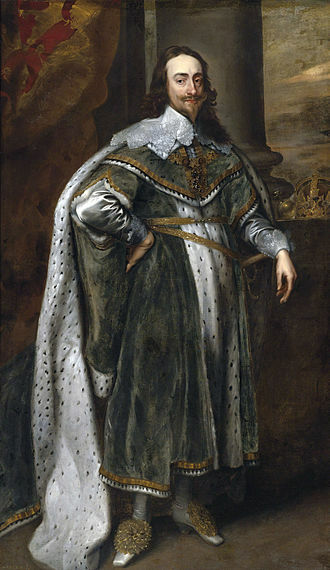 Her connections with the court of France as niece of King Louis XIII, shortly before the birth of Henrietta, her mother had been forced to leave Oxford for Exeter, where she had arrived on 1 May 1644. Many thought she would not survive the birth due to her state of health at the time, after a particularly difficult birth, the princess was put in the care of Anne Villiers, Countess of Morton, known at that time as Lady Dalkeith. For the safety of the infant princess, the decided to make her way to Falmouth. Arriving at Falmouth in mid-July, the queen was informed that the infant princess had been ill with convulsions. On 26 July, Henrietta met her father, Charles I of England, prior to his arrival, the king had ordered that the princess would be baptised in accordance with the rites of the Church of England, and she was baptised Henrietta at Exeter Cathedral on 21 July. A canopy of state was erected in honour of her dignity as a Princess of England, while living at the French court, the princess was given the name Anne in honour of her aunt, the French queen Anne of Austria. When she first arrived, she was known as Henrietta dAngleterre or the princesse dAngleterre in France and she and her mother were given apartments at the Louvre, a monthly pension of 30,000 livres and the use of the Château de Saint-Germain-en-Laye. Ferdinand Maria, Elector of Bavaria was a Wittelsbach ruler of Bavaria and an elector of the Holy Roman Empire from 1651 to 1679. 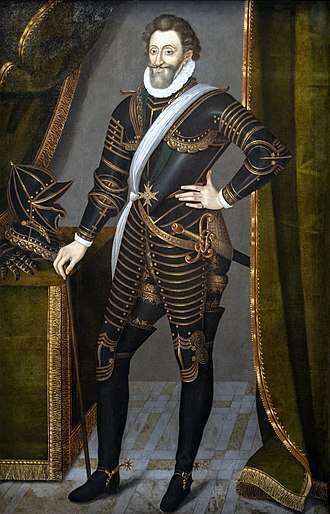 He was the eldest son of Maximilian I, Elector of Bavaria - whom he succeeded, born during the reign of his father, he was known as the Electoral Prince from birth. Through his mother, he was a first cousin of Queen Mariana of Spain as well as the Leopold I, on 8 December 1650 he married Henriette Adelaide of Savoy, daughter of Victor Amadeus I of Savoy and Christine Marie of France. The couple had seven children, two of which would have progeny, still a minor he succeeded his father in 1651, his mother and his uncle Albert VI of Bavaria served as regents of Bavaria for three years. Ferdinand Maria was crowned on 31 October 1654 and his absolutistic style of leadership became a benchmark for the rest of Germany. 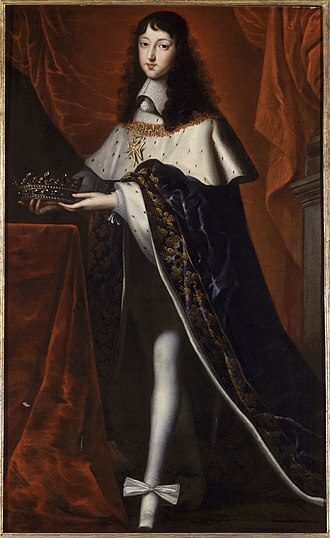 Though Ferdinand Maria allied with France he abstained the imperial crown in 1657 after the death of his uncle Ferdinand III, Ferdinand Maria supported the wars of the Habsburg against the Ottoman Empire with Bavarian auxiliary forces. 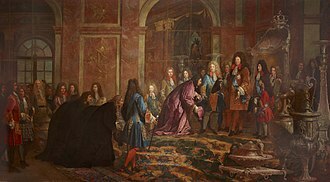 During the Franco-Dutch War since 1672 Bavaria was officially neutral, the marriage of his eldest daughter Maria Anna Victoria and her cousin le Grand Dauphin in 1680 was the outcome of the Bavarian alliance with France. Ferdinand Maria modernized the Bavarian army and introduced the first Bavarian local government code, the elector did much indeed to repair the wounds caused by the Thirty Years War, encouraging agriculture and industries, and building or restoring numerous churches and monasteries. In 1669, moreover, he called a meeting of the diet. The electorate he left with a very wealthy treasury and he died in Schleissheim Palace and was succeeded by his son Maximilian II Emanuel. 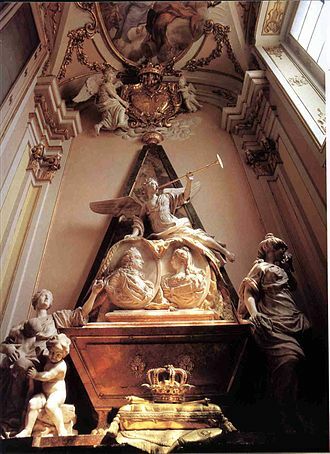 He is buried in the crypt of the Theatiner Church in Munich, Ferdinand Maria married in 1650 princess Henriette Adelaide of Savoy and with her the Italian Baroque was introduced in Bavaria. The Theatiner Church in Munich was built from 1663 onwards as a gesture of thanks for the birth of the heir to the Bavarian crown. The livre was the currency of France from 781 to 1794. Several different livres existed, some concurrently, the livre was the name of both units of account and coins. The livre was established by Charlemagne as a unit of account equal to one pound of silver and it was subdivided into 20 sous, each of 12 deniers. 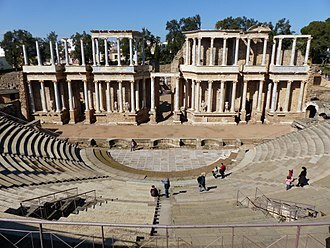 The word livre came from the Latin word libra, a Roman unit of weight and this system and the denier itself served as the model for many of Europes currencies, including the British pound, Italian lira, Spanish dinero and the Portuguese dinheiro. This first livre is known as the livre carolingienne, only deniers were initially minted, but debasement led to larger denominations being issued. Different mints in different regions used different weights for the denier, livre is a homonym of the French word for book, the distinction being that the two have a different gender. The monetary unit is feminine, la/une livre, while book is masculine, for much of the Middle Ages, different duchies of France were semi-autonomous if not practically independent from the weak Capetian kings, and thus each minted their own currency. Charters would need to specify which region or mint was being used, the first steps towards standardization came under the first strong Capetian monarch, Philip II Augustus. 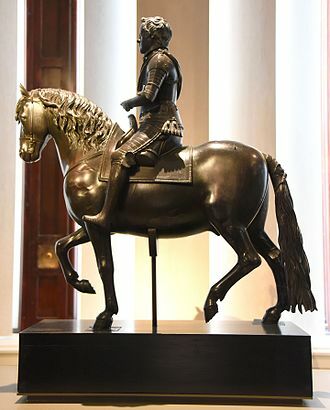 Philip II conquered much of the continental Angevin Empire from King John of England, including Normandy and this was a slow process lasting many decades and not completed within Philip IIs lifetime. 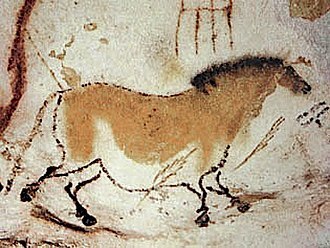 Until the thirteenth century and onwards, only deniers were actually minted as coin money, both livres and sous did not actually exist as coins but were used only for accounting purposes. 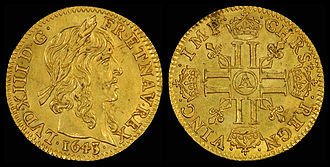 Between 1360 and 1641, coins worth 1 livre tournois were minted known as francs and this name persisted in common parlance for 1 livre tournois but was not used on coins or paper money. The official use of the livre tournois accounting unit in all contracts in France was legislated in 1549, however, in 1577, the livre tournois accounting unit was officially abolished and replaced by the écu, which was at that time the major French gold coin in actual circulation. Marie Jeanne Baptiste in widows clothing by an unknown artist, held at the Ducal Palace of Modena.